I got not one, but two birthday cake orders for NBA Warriors basketball players last month. First I made the jersey cake for Jamal Crawford's big bash. 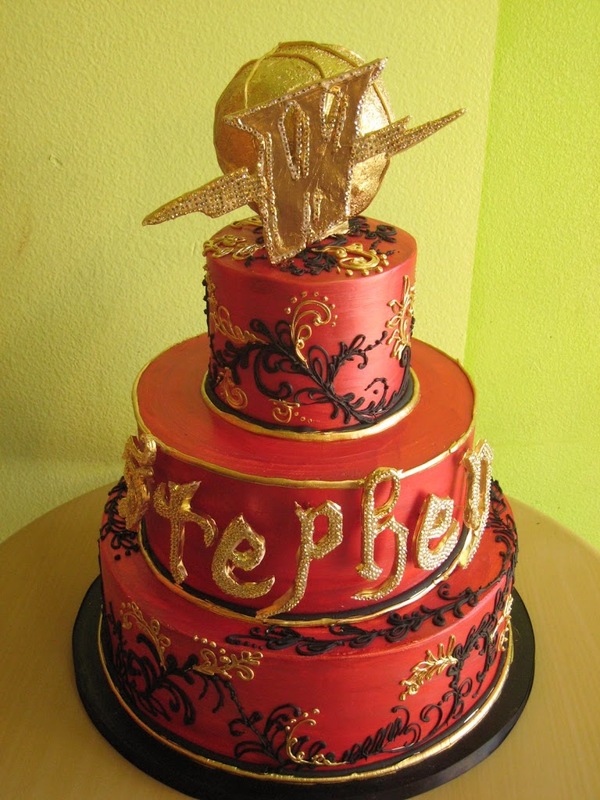 Apparently it was a huge hit, so I got a call the next week from Stephan Jackson's fiance to make his birthday cake too. We didn't want to copy Jamal's so I thought it would be fun to highlight his name by making 3D rhinestone encrusted letters. I handmade the letters inspired from Snoop Dogg's logo lettering (because he was performing for Stephan's birthday party at Mezzanine in SF) and glued on hundreds of little swarovski crystals. I couldn't leave out a Warriors logo for the topper-also encrusted in crystals.